Seventy years ago today, the man who Rolling Stone magazine hails as the greatest guitarist ever was born in Seattle, Washington. At birth his name was Johnny Allen Hendrix. In 1945 his father Al Hendrix, returning from fighting in Europe during World War II, rechristen him James Marshall Hendrix. 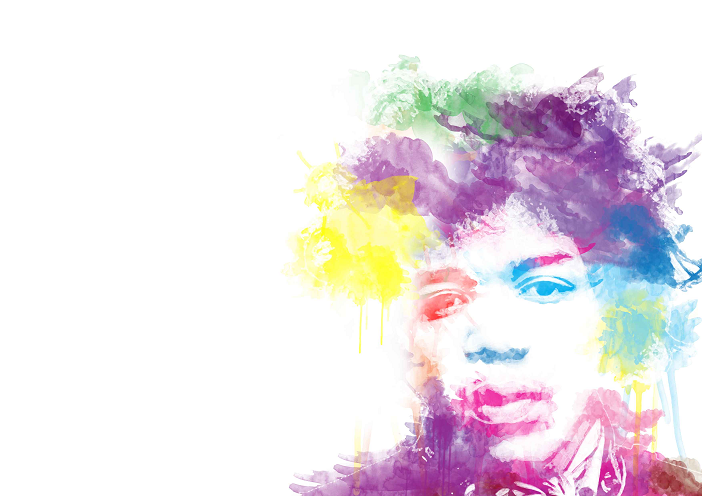 However, the world would come to know this amazing musician as Jimi Hendrix. Learning to play the acoustic guitar as a 13 year-old, Jimi would develop his skills by listening to records by blues guitarists Muddy Waters and B.B. King and rockers such as Chuck Berry and Eddie Cochran. In 1961, Hendrix enlisted in the US Army and was assigned to the 101st Airborne Division. After breaking his ankle during his 26th parachute jump, he was honorably discharged in 1962. Jimi spent a short period following his discharge working as a sideman on the rhythm-and-blues circuit, before packing up and moving to New York City, where he discovered the Greenwich Village music scene. During his time in New York, he worked as a studio musician and sideman for many R & B artists including Sam Cooke, B.B. King, Jackie Wilson, Ike and Tina Turner, and Wilson Pickett. Hendrix also played on several recordings by Little Richard and toured as part of Little Richard’s band in 1964 and 1965. Forming his own band in 1965, Jimmy James and the Blue Flames, Hendrix played Greenwich Village coffeehouses. Hendrix’s career didn’t really gain traction until Chas Chandler, bassist with The Animals at the time, brought him to London in September 1966 and signed him to a management and production contract. It was Chandler who suggested that Hendrix change the spelling of his first name to ‘Jimi’ from the more pedestrian ‘Jimmy’ and helped him to form a new band, the Jimi Hendrix Experience. The first single by the Jimi Hendrix Experience was “Hey Joe.” Reaching #6 on the U. K. chart in early 1967, “Hey Joe” was quickly followed by “Purple Haze.” The band’s debut album “Are You Experienced” would reach double-platinum in the U. K. While he and his band were the rage of London, he was still largely unknown in North America until, at Paul McCartney’s insistence, the Jimi Hendrix Experience played the Monterey Pop Festival, in June of ’67. In 1968, Hendrix would release two albums (“Axis: Bold as Love,” and “Electric Ladyland”). Both were major hits, with “Electric Ladyland” hitting the top of the Billboard album chart in November ’68, elevating him to superstar status. By early 1969, the Jimi Hendrix Experience was breaking up. Offered the opportunity to perform at the Woodstock music festival, Hendrix formed a group called the Gypsies, Sun and Rainbows. They were closing act of the festival. Due to delays and logistical problems, they were not able to perform until the morning of Monday, August 18th. By this time, the audience had dwindled to 25,000 from the original 400,000. Still, Hendrix showed his virtuosity with his incredible version of “The Star-Spangled Banner” that went on to became an anthem of the counterculture. This performance was filmed and included in the documentary “Woodstock” that was released in 1970. During the evening of September 17th, 1970, Jimi Hendrix had apparent an allergic reaction to prescription sleeping pills. He collapsed and was taken to a hospital where he was pronounced dead of asphyxia on September 18th, 1970. He was 27 years old. Can money buy happiness? Three, highly respected university professors say definitely! Elizabeth W. Dunn, Daniel Todd Gilbert, and Timothy D. Wilson even wrote an article about it, entitled If Money Doesn’t Make You Happy, Then You Probably Aren’t Spending It Right. It was published in the April 2011 edition of the Journal of Consumer Psychology. In order to get the most happiness for the least money, the authors suggest eight principles. We will consider Principles 1, 2, 3, and 5 in this post. To see the other four principles, please read the full article. Principle 1: Buy experiences instead of things. “Asked which of the two purchases made them happier, fully 57% of respondents reported that they had derived greater happiness from their experiential purchase, while only 34% reported greater happiness from their material purchase.” This is the result of one nation-wide study of over a thousand Americans. However, similar results are reported in numerous studies that consider question in several ways. “Human beings are the most social animal on our planet. Because of this, almost anything we do to improve our connections with others tends to improve our happiness as well — and that includes spending money.” In study after study ‘prosocial’ spending (that is spending money on others, including gifts or charitable donations) improves the happiness of the giver. “If we inevitably adapt to the greatest delights that money can buy, than [sic] it may be better to indulge in a variety of frequent, small pleasures — double lattes, uptown pedicures, and high thread count socks — rather than pouring money into large purchases, such as sports cars, dream vacations, and front-row concert tickets.” This may be because we don’t become so accustomed to the frequent small purchases. Plus, small pleasures tend to be “different each time they occur,” so we don’t grow used to them as easily as our new car. Postponing consumption allows us to anticipate our purchases, “and anticipation is a source of free happiness.” Think about when you book a vacation to a tropical destination in the winter. Can you feel the breeze and the sun, even as your driving in a snowstorm? Doesn’t it make you feel good and bring you pleasure to think that some time in the future (a week, a couple of months) you will be eating tropical fruit on a sun-kissed beach? That is the source of “free happiness” the authors are talking about. What are your thoughts about using money to buy happiness? Can it be done? Have you done it? Share your thoughts and stories in the comments. Our always connected, social media lifestyle is full of odd quirks. One of them occurs when we’re out dinning with family or friends. Even though we are with people, being social, there’s the itch to check our mobile devices. It’s fun to watch groups at restaurants hunched over phones. Their thumbs busy sharing and responding, all the while ignoring their real world table mates. Watching maybe fun, being a part of it, isn’t. To combat this lack of personal interaction, Stephie in Ventura, California created a game. Originally called Don’t Be A Di*k During Meals With Friends, she first posted about it Tumblr. Now it’s more often called The Phone Stack. The rules are very simple. Once everyone at the table has ordered, each communication devices needs to be turned over. For a more dramatic effect, they can be stacked on top of each other in the center of the table. Plus, it’s harder to sneak a look at a phone when it’s buried in a pile. When a phone chirps or buzzes, what will prevent someone from reaching for their phone? Simple, the first person to grab their phone has to pay the bill for the table! 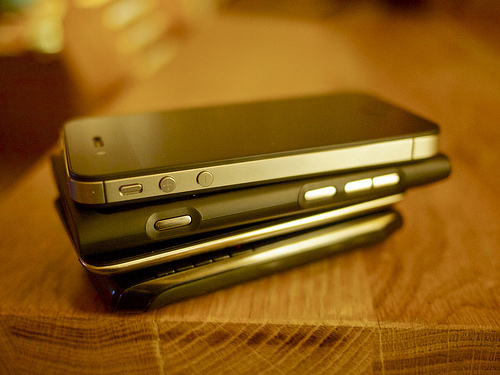 The Phone Stack has been called a “brilliant piece of social engineering,” and I agree. Finally, there is an incentive to put down that phone. Is this game inspired or just stupid? Would you, or have you, tried it in your life? Please share your thoughts by adding a comment. Living in Edmonton during the 1940s to 1970s, you could take pride in the local musician Gaby (Gabriel) Haas, who was making a name for himself on the national music scene. Gaby Haas was a skilled and talented accordion player. In addition, during this period, he was radio host and performer on a number of popular oldtime or country music shows. 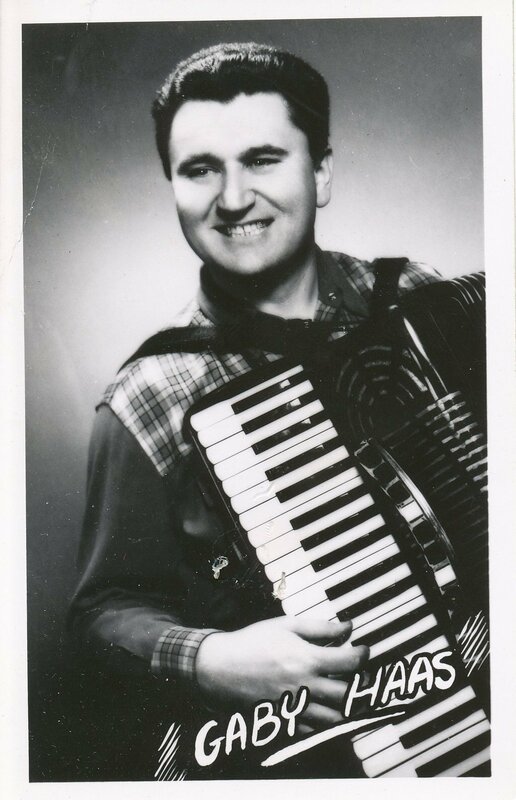 Born in Frantiskovy Lázne, Czechoslovakia, on November 7th, 1920, Mr. Haas started playing the accordion at local dances in Saskatoon at the age of 18. This lead to the opportunity to perform on a Saskatoon radio station, CFQC. By 1940 Mr. Haas had relocated to Edmonton, where he became a naturalized citizen in 1943. Between the period of 1944 to 1958 he had two different radio programs airing in Edmonton, one on CFRN and the other on CKUA. Between 1944 and 1955, the national CBC radio network broadcast both of his local Edmonton radio shows. For more than 40 years Mr. Haas continued to host Continental Musicale on CKUA. He left the program just shortly before his death on November 22nd, 1987. Starting in 1955, you could see Mr. Haas on several CFRN-TV programs. From 1955 to 1969 he starred in Chuckwagon. Then in 1956 he joined The Noon Show (later renamed the Eye-Opener) that aired five days a week. After Chuckwagon left the air, Mr. Haas became a regular on Country Music, before leaving television in 1974. Together with his band The Barndance Gang, Gaby Haas recorded prolifically. Between 1950 and his death in 1987, he recorded over 50 albums and 60 singles. The vast majority of these recordings were waltz and polkas, and many were his own compositions. 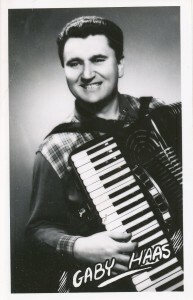 As his fame grew, he earned the nickname Canada’s Mr. Polka. Today, some of his original vinyl records sell for over $100. In addition to being a musician, recording artist, radio host, and local television performer, Mr. Haas was an entrepreneur. When he arrived in Canada he had a large collection of 78 rpm records, which he used to open his European Music Shop record store. He was also part owner and frequent performer at several Edmonton restaurants, starting with the Hofbrauhaus in 1967. Located on 97th Street, it was a very popular dinner club for about five years. One of regular performers at the Hofbrauhaus was Horst Schmid, who had a German folk dancing act at the time. He also helped manage the restaurant. However, in 1971 Mr. Schmidt left the dinner club to serve in the Alberta Provincial Legislature as the Progressive Conservative MLA for the Edmonton-Avonmore riding. In the early 1980s, when SCTV was being produced at the Edmonton studios of ITV, John Candy and Eugene Levy created a fictional polka duo, The Shmenge Brothers, which Candy claimed were based on Gaby Haas. If you’ve never heard the music of Gaby Haas or just need to hear some of it again, here are two of his recordings. The first is the St. John Waltz, and the second is the Reel des Chaussettes Dorées (or the Golden Socks Reel, if my translation is correct), which is a faster tune. Get your toes ready for tapping. Old Dog – New Trick? From where I sit writing this, I see steam rising from chimneys, thick snow on roofs, and vehicles slipping and sliding their way somewhere. The outside temperature is about -13 Celsius (9 degrees Fahrenheit, if you’re more comfortable in that scale). Winter has settled in for its long stay in Edmonton, Alberta. While winter can be fun (snowball fights, the crunch under your boots when walking, the brightness of light reflecting off the freshly fallen snow), I have to tell you I’m a summer guy. I want warm hot, sunny, long days, and trees with green leaves – not barren branches. To give both of us a Wednesday Humour smile, and me a break from winter, I present Tillman. Owned (and possibly trained) by Ron Davis of Oxnard California, Tillman is a six year old surfing English Bulldog! With the Surfin’ USA soundtrack and the excitement and enthusiasm shown by Tillman, this puts a big smile on my face. I hope it does for you, too! Found a story or video that should be posted for Wednesday Humour? Please provide a link in the comments section. Thanks! After the conversation with my friend, I began to see indications of gaslighting in a variety of situations, and not always in one-on-one personal encounters. Doesn’t advertising often present false information in order to alter our perceptions of ourselves? Come on, do you really believe that if you drink a specific brand of beer that would will live the life presented in their television commercials? What about owning the latest smart phone? Do you really become more hip and cool because you have a iPhone 5 or Samsung Galaxy in your pocket? How about the images used to sell fashions and makeup to women and beauty to all of us? Dove, a division of Unilever, even created a whole marketing campaign around how images are distorted to sell beauty (and yes, I get the irony of using an advertising message to counter advertising messages). Have you experienced gaslighting? What did you do to counter the effects? Please add your thoughts and comments by leaving a reply. Thank you. Dr. Stern is the author of the book The Gaslight Effect: How to Spot and Survive the Hidden Manipulation Others Use to Control Your Life. 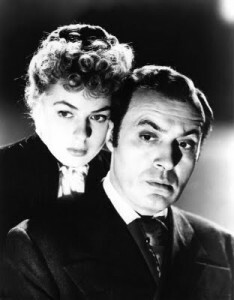 She has also written several articles in Psychology Today about Gaslighting, including: Are you being Gaslighted? ; Will You Please Just Shut Up! JUST SHUT UP! ; and, Identify The Gaslight Effect and Take Back Your Reality! It takes determination and discipline to post to a blog on a regular schedule. For the past 11 months or so, what determination and discipline I have had has been focused on events going on in my real world. There has been a move to a new community, a change of jobs and a very big and positive change in my personal life. All of these changes have been used as excuses to keep from posting. For that, I apologize. Please forgive me for being away for far too long. I do have thoughts and ideas waiting to share with you. 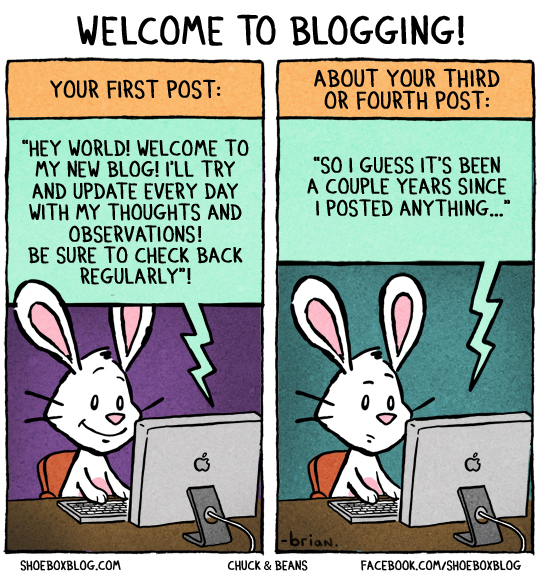 So, let me start by sharing this great cartoon from my new favorite webtoon Chuck & Beans. You may also notice that the links to some of the videos on this blog are currently broken. The Shortgrass Library System, where I worked when these videos were created, has closed the YouTube account I set up on their behalf, in favour of a new YouTube account. In the next few days, I will be posting all of these videos to the InfoGumshoe channel on Vimeo. I apologize for the inconvenience. 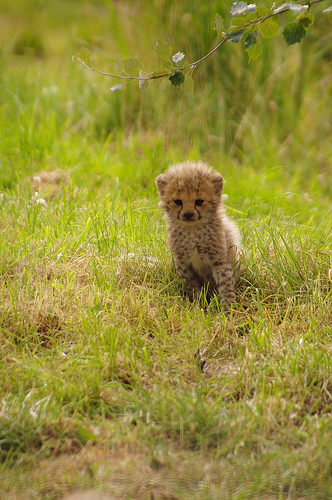 Here’s something to help you get through the middle of the week with a smile. Thank you to LMM for pointing me to this video! Warning! If your sense of humour is anything like mine, this short video will have you in tears. Also, people around you may look at you strangely because you are laughing so hard. I wish I knew who the creator of this great bit of comedy is. If you know, please share in the comments. Thank you. It’s easy to get wrapped up in the decision making process when there isn’t a clear cut choice or there isn’t enough information to know which option is the most appropriate. 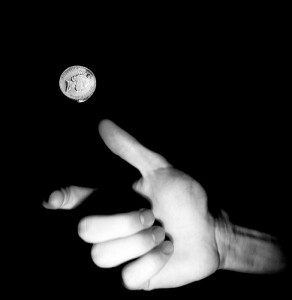 A common way to cut through the clutter of the decision is to simply flip a coin. Some times a coin toss is a great way to decide something – especially when any of the choices are beneficial or of low risk. Another common way to deal with this situation is to collect more data and hope that leads to an obvious solution. Of course, the decision can become even harder when the extra information points out problems with all of the possible solutions. This is often the first step into the quagmire known as analysis paralysis. One of my mentors in the advertising industry had a great technique for putting a limit on the amount of data collection or analysis that went into a decision. She would estimate the cost of the decision and then allow herself to spend up to half the cost in time and effort to make the decision. To provide an example, let’s say you are making a decision on which scanner to purchase for the office (an item that would cost between $100 and $300). She would first average the expected cost ($150 in this case) and then she would allow herself to spend no more than $75 in staff time or research costs to make the decision. Her belief was that too much time was being wasted on making small decisions (that had a limited impact on the organization) and not enough effort was going into the major decisions which could harm or benefit the organization for years. Through the years since learning this technique, I have used it hundreds of times and always find it helps me break out of analysis paralysis. What strategies do you have for making tough decisions or for avoiding analysis paralysis? Please share them in the comments.